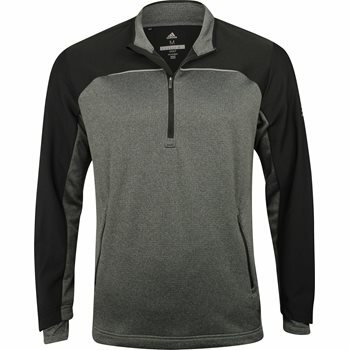 With water-resistant fabric and a fleece-lined shell, The adidas Go-To Adapt 1/4 Zip Pullover is made for all-weather protection. There is also a droptail hem for extra protection and articulated elbows for free range of motion. Large adidas Badge of Sport on sleeve.